Manually finding, merging and removing duplicates in Outlook can be a hard work. 4Team Duplicate Remover will find, merge or remove duplicates in Outlook emails, appointments, contacts, tasks, notes and journal items in just one click of a button. This is a fast and easy tool to remove Microsoft Outlook doubles from all folders with just one click. Remove Outlook duplicates automatically. It saves you time by eliminating duplicates that occur within a folder. Outlook Duplicate Remover will delete duplicates automatically without prompting. Duplicate Remover has a very simple and intuitive interface, which makes it easy to get started. No wizards to follow, no settings to to adjust. 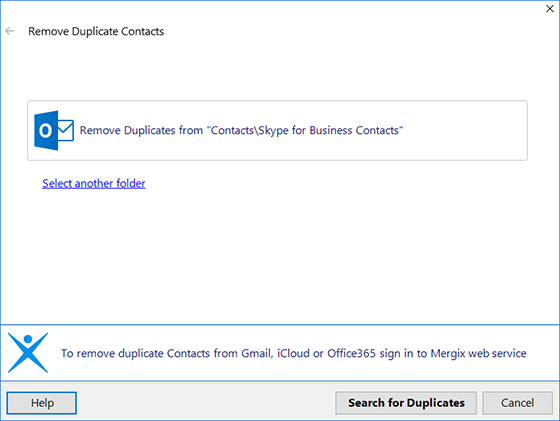 With just one click of a button you can find, merge or remove Outlook duplicates in all Outlook folders. Even if thousands of duplicates are spotted they are removed in just a few seconds, ensuring your Outlook performs faster.